Home Remedies Skincare 10 Home Remedies for Acne Scars. It’s Time to Eliminate Ugly Marks! 10 Home Remedies for Acne Scars. It’s Time to Eliminate Ugly Marks! 10 Home Remedies for Acne Scars. It’s Time to Eliminate Ugly Marks! 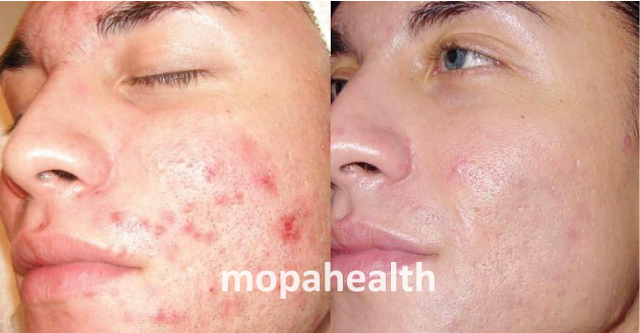 - What are acne scars? These are blemishes that are left by acne on your face, back, buttocks and so on. They are usually pale and unattractive, thus can contribute to the way your face looks. And this is the primer reason why people worldwide are looking for possible home remedies for acne scars. There can’t be anything easier than home remedies preparation. All one has to do is use a couple of ingredients from his fridge to eliminate ugly marks once and for all. If that’s so easy, why so many people keep suffering from the condition? The problem is that not everyone knows what ingredients/products to use. And this is what we are here for. Have a look and pick the remedy that seems to be the most appropriate in your case. Use it for a couple of weeks and you will be surprised at its amazing effect. Are you ready to begin? Apple cider vinegar. Why this remedy? Today it is widely used in order to alleviate a number of skin problems, including acne scars. Start with dipping a cotton ball into ACV. Apply it to the areas with scars and rinse with water in 20 minutes. Repeat the procedure twice a day. Lemon. Normally, this solution is used, if the scars are a bit darker than the rest of the skin. In this case the primer task is lightening them. Lemon bleaches the skin and lightens it significantly, so that the marks get less noticeable. Take one lemon and squeeze its juice onto the affected area. Leave the solution overnight and rinse off in the morning. Honey. This product is referred to as one of natural moisturizers that treat acne. It can be applied as a mask overnight. Honey contains enzymes that work healing acne scars. To improve the effect, add 5 drops of lemon juice to 1 tablespoon of the product. Lavender oil. This is another home remedy for acne that is popular all over the globe. Saturate one cotton ball with 2-3 drops of lavender oil and apply it to scars 2-3 times per day. This acne-fighting essential oil will eliminate marks pretty soon. Egg white can also be used in cases a person is not allergic to eggs. Simply apply egg white to the face and leave overnight. This is a sort of a homemade face mask, with the only difference it is not washed off before you go to bed. Eggs white reduces inflammation and assists in healing scars. To tolerate the mask, add 2-3 drops of lemon juice. Tomatoes. These vegetables are rich in Vitamin A, which hinders sebum overproduction. In addition, it has a few antioxidant qualities that renew and refresh damages and scarred skin. Slice up one tomato and place slices over your face for 20 minutes. Aloe vera is one of the best home remedies for acne scars. In case you notice break outs, apply the plant’s juice during 2-3 days and you will see that scaring is no longer a problem for you. Vitamin E. Many people choose to apply vitamin E oil, which is also referred to as alpha-tocopherol. It makes the scars disappear over a couple of weeks. As for today, thousands of people have already benefited from this treatment option. Ice cubes. This is, perhaps, the simplest, but still a pretty effective remedy you can use at home. Take a clean cloth and place a couple of ice cubes inside. Rub the cloth with cubes on the area that has been affected. The procedure should be repeated daily for 15 minutes. In a few days you will see the first improvements. As you’ve probably noticed, the above-mentioned home remedies for acne scars are pretty simple and don’t require any expenses. What they really require is your will and persistence. So, the result depends on you.